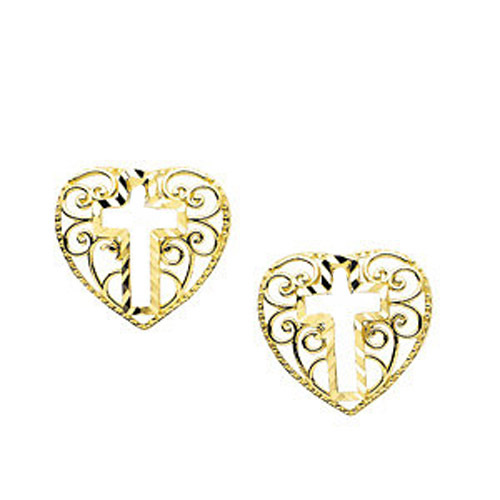 Desc: 14 karat yellow gold filigree cross and heart post earrings. The earrings are fashioned in the shape of a heart. The cross is mounted in the center of the heart. There is filigree work inside the heart all around the cross. There is diamond cutting to enhance shine. The earrings have bright polished finishes.